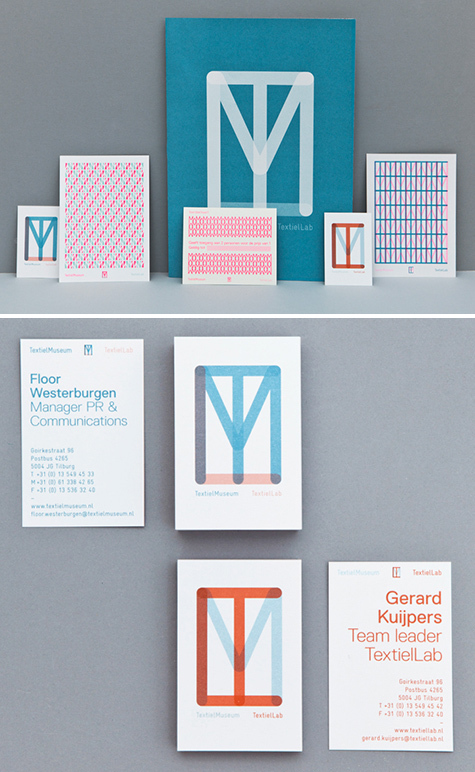 Beautiful identity work for the TextielMuseum and TextielLab in the Netherlands by Raw Color. Next to hosting exhibitions about textile and design at the Museum, the Lab produces and develops textile projects with contemporary designers and artists. The letters T, M and L overlap with different opacities and color combinations, and the design quickly becomes its own woven textile, especially when repeated.